Clare Wood is one of Australia's leading sports dietitians. 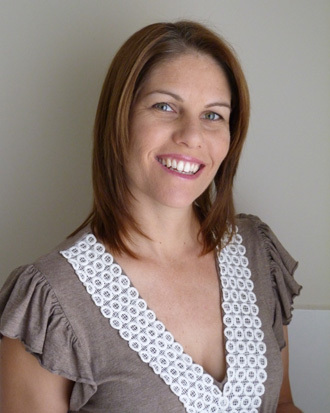 She is an Australian Sports Dietitian, and Accredited Practicing Dietitian. She has worked in sports nutrition all around Australia, from running her own practice in Darwin, working with Australia’s elite athletes at the Australian Institute of Sport in Canberra, and down in the sporting capital of Melbourne with Richmond Football Club. She has now returned west to her home town of Perth, and after a stint working with the athletes at the Western Australian Institute of Sport she is now working with the West Australian cricketers. Clare has a wide range of experiences with athletes of all levels and in different sporting environments. She has worked with elite athletes from all footy codes, winter sports, basketball, and tennis, but also with people from all walks of life and active backgrounds, including children and corporate staff. She personally loves being active and has participated in a variety of sports, including hockey, touch footy, and middle distance running. She is really passionate about keeping an active lifestyle, and believes that sports nutrition can really make a difference at every level. We only have one body for life so we should look after it! Do you want some help with your diet? You may also want to visit her Sports Dietitian website, read her Travel Food blog and check out athlete recipes on the Athlete Masterclass. Building Muscle: Do You Need Supplements? - some important tips that will help you achieve your muscle mass gain goals in the most sensible way. Amino Acid Supplements — are they necessary for athletes? Planning your pre-exercise meal — Pre-exercise meals are very important meals to consider as part of the athlete's preparation towards optimal performance. Pre-Game Diet — Here are some suggestions of what you can eat before exercise. What athletes should drink — a guide to hydration for sports people - there are a lot of choices out there. Protein for Runners - Should we be taking protein supplements while running? Milk for Rehydration and Recovery - using milk as a rehydration solution may also help to fulfill protein and carbohydrate needs of an athlete post exercise. 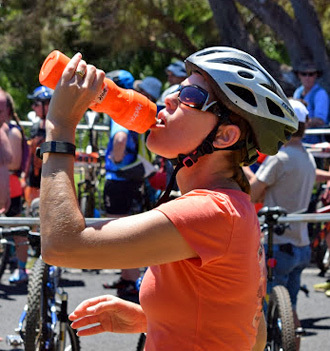 Drinking strategies — how to maximize your fluid intake. Sweets for Recovery - are they any good for recovery after exercise. Post-Exercise Strategies to replace the lost fuels and aid recovery. Eating to Bulk Up — A guide to eating to gain muscle weight. Traveling nutrition — Tips for eating right while traveling. Altitude Nutrition — Guide to following a good diet when traveling or training at altitude. High Carbohydrate Eating — Are you getting enough for your sport? Carbohydrate Loading — How and When to Carbohydrate Load. Sugar & Carbohydrate — What is best for Athletes. Nutrition for Field Officials The energy demands of being a field official, referee or umpire varies as much as there are different sports to be involved in. Nutrition for the Marathon of the Sands Ultra Marathon Event. Food and Inflammation — certain foods can also help relieve inflammation. Tips For Healthy Restaurant Eating — while traveling you may need to eat at restaurants. Food Safety — Foods and water can be a source of contamination and have the potential to make you sick if care is not taken. Caffeine — Is it good or bad for us? Lose weight while doing nothing — Forget the unproved fad diets, this is an easy way of losing weight with science by understanding the role of your basal metabolic rate (BMR). What is a pedometer and how to use it. Reducing Fats and Oils in the Diet — Some guidelines on how you can reduce the amount of fat in your diet. Eating for weight loss — Simple strategies for changing the way you eat to lose weight. Athlete nutrition is not just about weight loss. It is important to fuel the body optimally before, during and after exercise, as well as to stay hydrated.